Gun Cabinet | Donnegan Systems Inc. When emergencies happen, there’s only a moment to respond. With the need for heightened security measures in many areas, we routinely see security resources in locations where they might not have been years ago. Schools, municipal buildings, airports, and hospitals are all settings where security officers need secure weapons storage that can be accessed quickly in case of emergency. 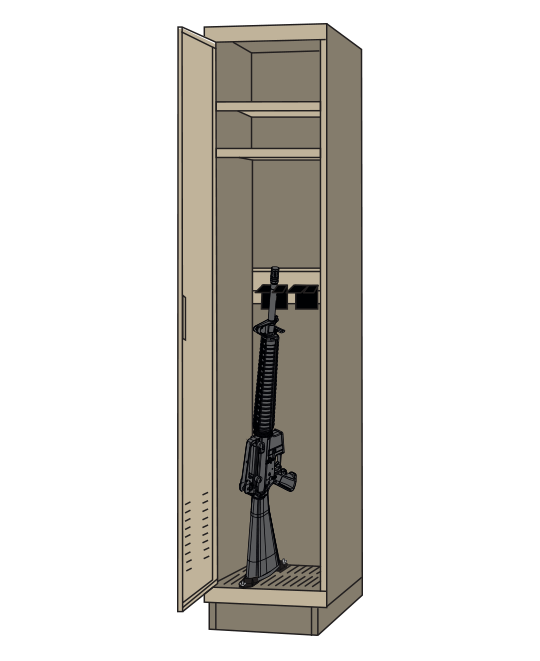 The Fast Response Locker from Spacesaver combines the durability of a gun cabinet with an inconspicuous design for a locker that protects like a weapons rack – but doesn’t look like one. A FAST RESPONSE LOCKER COULD BE THE KEY TO AVOIDING AN EMERGENCY. Get more information about the Fast Response Locker Gun Cabinet and available configurations, contact one of our storage experts today. 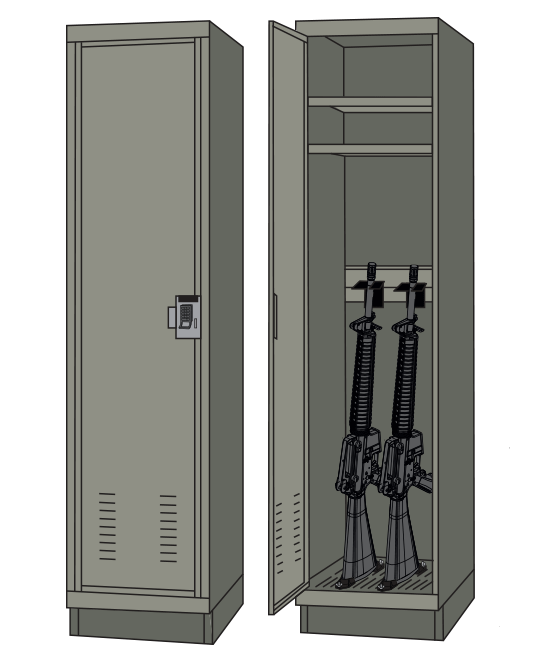 Many schools need unassuming lockers to securely store rifles, gear, and ammunition onsite while School Resource Officers are on the premises. 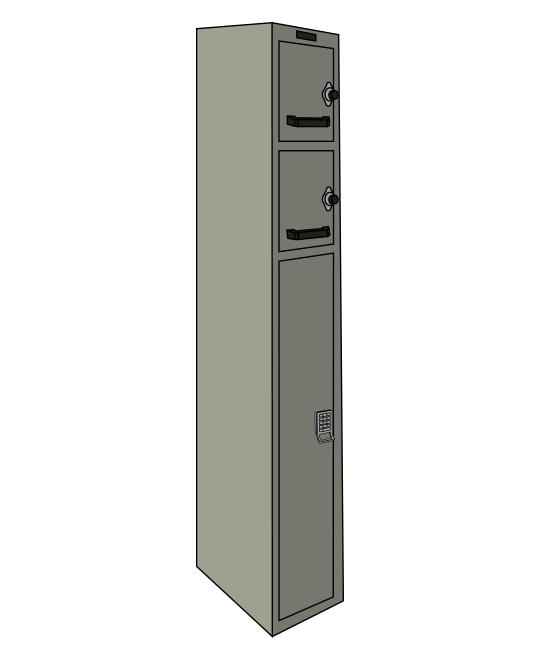 When officers are assigned to healthcare hubs, a gun cabinet can be designed to look like an office file cabinet to allow for fast reaction in an emergency. These publicly accessible areas are vulnerable to random acts of violence, making the Fast Response Locker a secure option in a potential crisis. 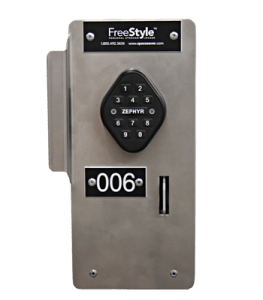 With a choice of mechanical or electronic powered options, this intuitive push button or RFID locking system fits nearly every locker design, allowing a way for facilities to utilize one lock and install a common platform for lockers in multiple areas. 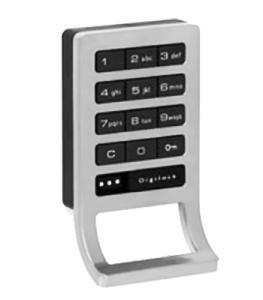 Featuring an all-metal lock housing with or without a pull handle, the Digilock can pair with radio frequency identification (RFID) cards or 4-digit PIN code systems—and are easily managed with a programming key unique to the lock system, or a manager bypass key. Battery-operated with a life of 3-5 years, these locks include tamper guards and visible/audible indicators.